Back in 2013 when Gen Kayani announced that he would not take an extension for a second time, Gen Sharif was not among the favourites in the race for army chief. 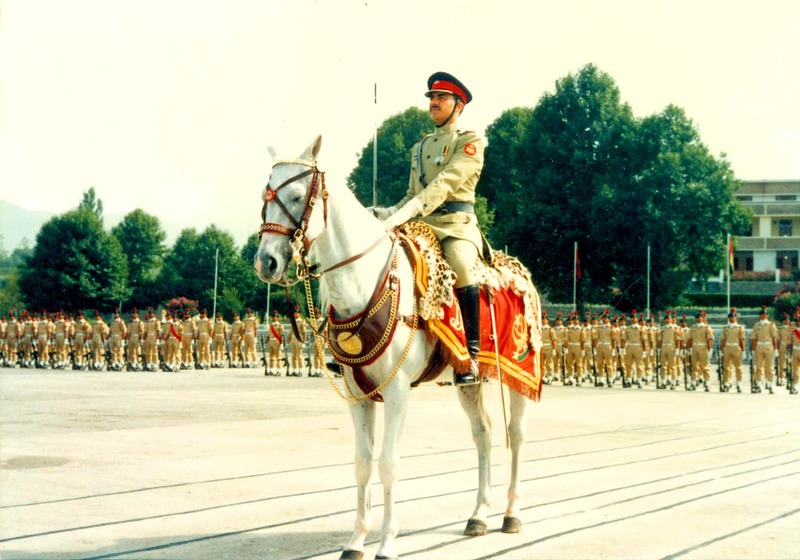 The general garnered unprecedented popularity among the general public and on social media, spawning a hashtag #ThankYouRaheelSharif. 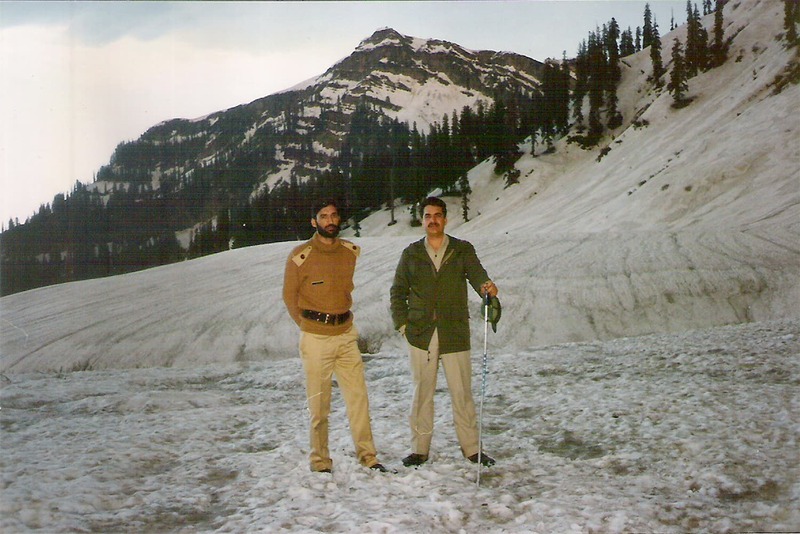 Raheel Sharif was born on June 16, 1956 to Major and Mrs Muhammad Sharif. 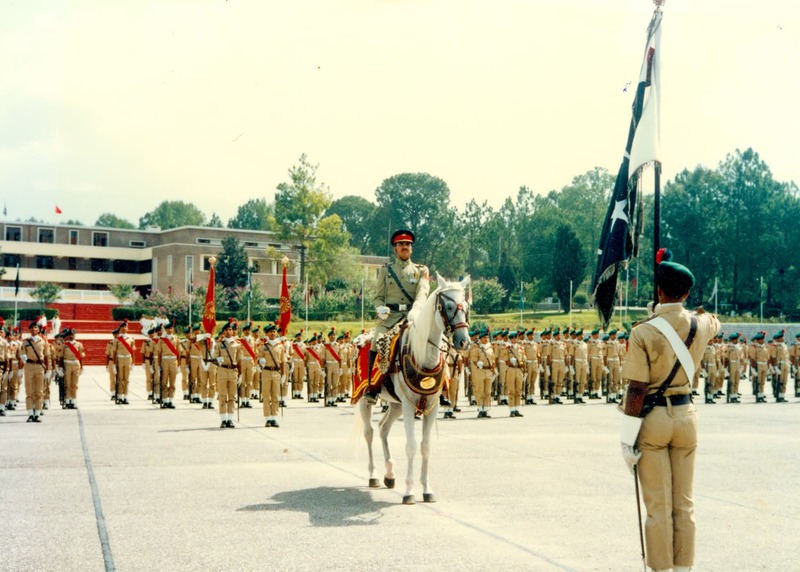 Raheel Sharif is from the Pakistan Military Academy’s 54th Long Course. 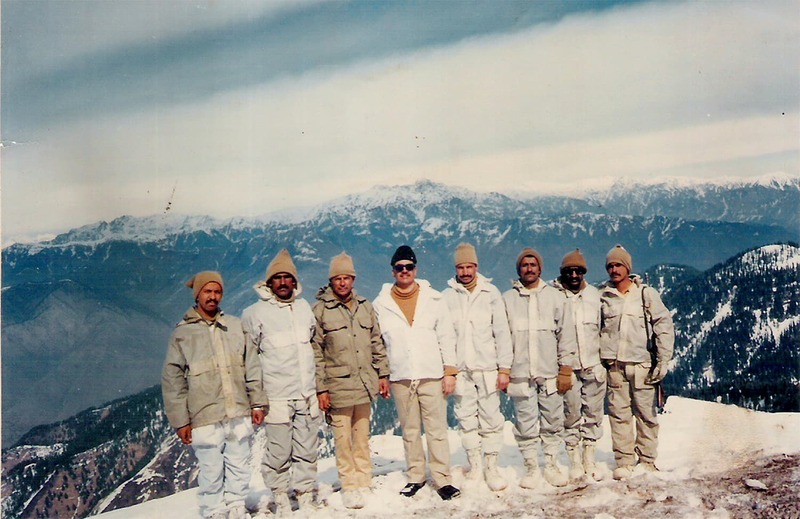 Raheel Sharif was part of the army’s infantry division. 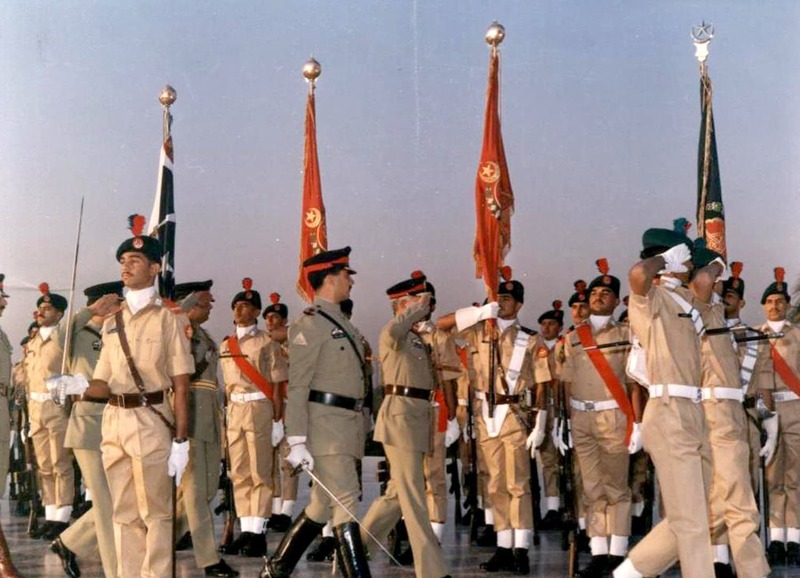 Raheel Sharif was commissioned to the army’s 6th Battalion of the Frontier Force Regiment in Oct 1976. 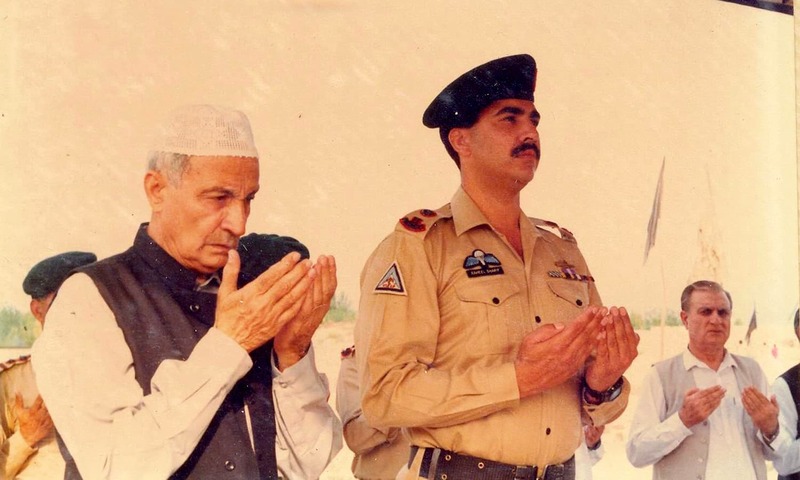 Raheel Sharif is the younger brother of Maj Shabbir Sharif, a Nishan-i-Haider recipient killed in the 1971 war in Okara. 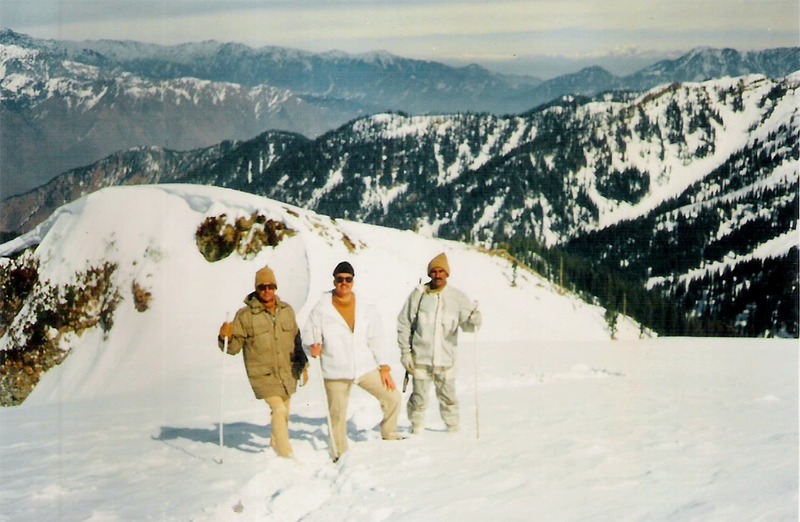 Raheel Sharif, who is 13 years junior to Shabbir Sharif, spent most of his early life in the shadow of his illustrious brother. 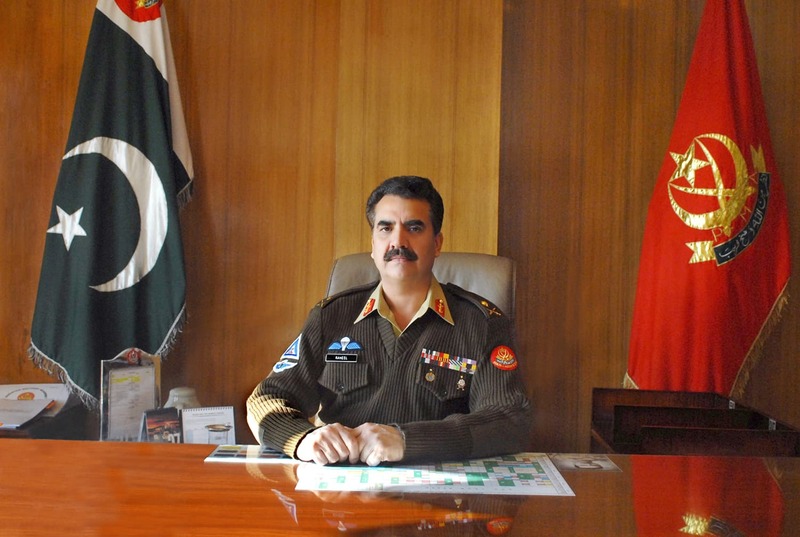 Raheel Sharif is widely credited with improving security in the country in general and Karachi in particular. 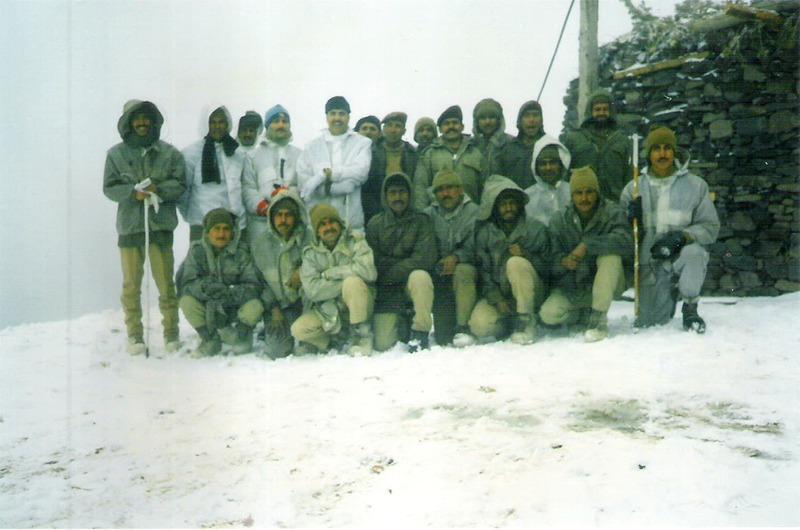 Operation Zarb-i-Azb was launched under Gen Raheel Sharif. 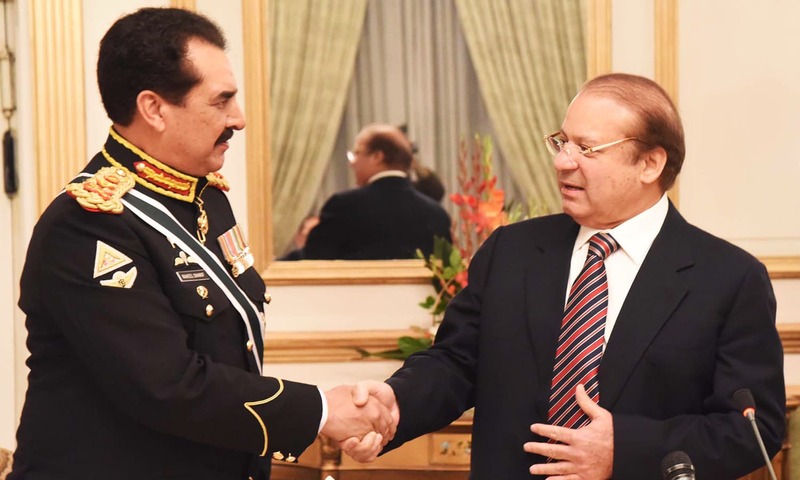 Raheel Sharif’s nickname is Bobby. 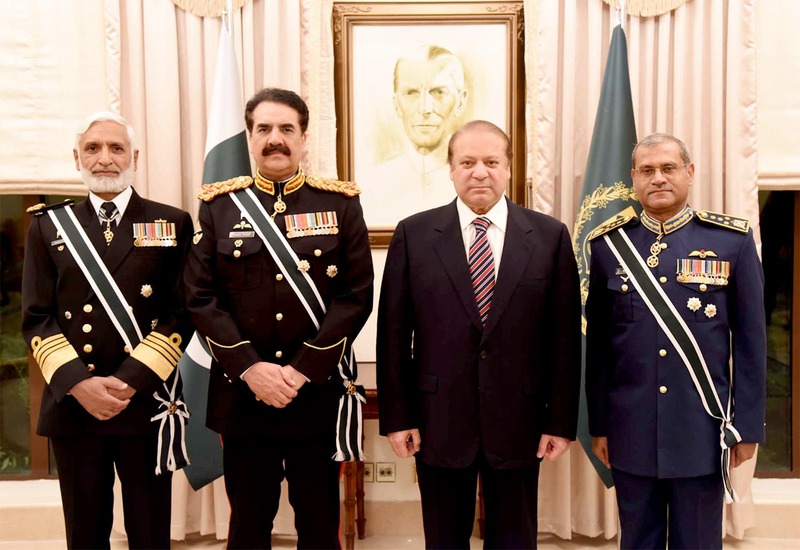 Raheel Sharif was appointed 15th Chief of Army Staff on Nov 28, 2013. 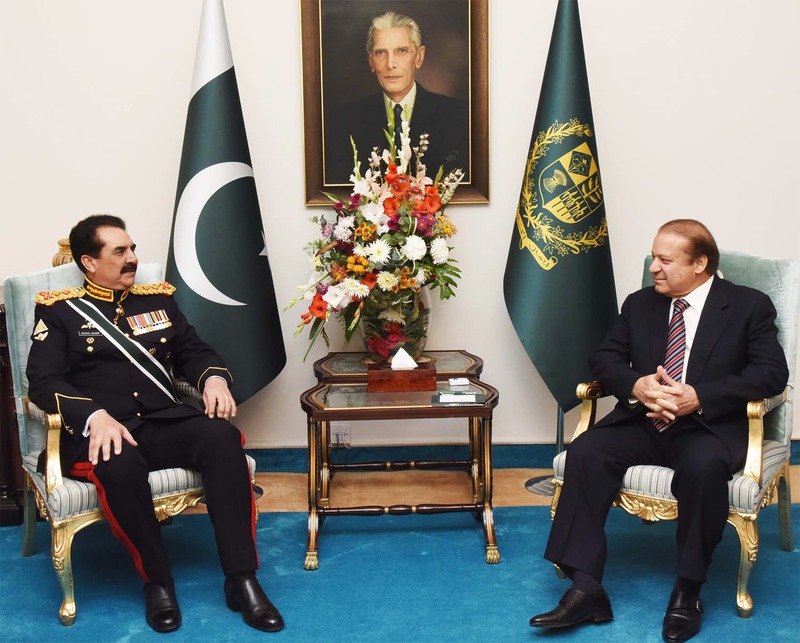 2015, Raheel Sharif’s popularity grew out of the barracks and spread across Pakistan. 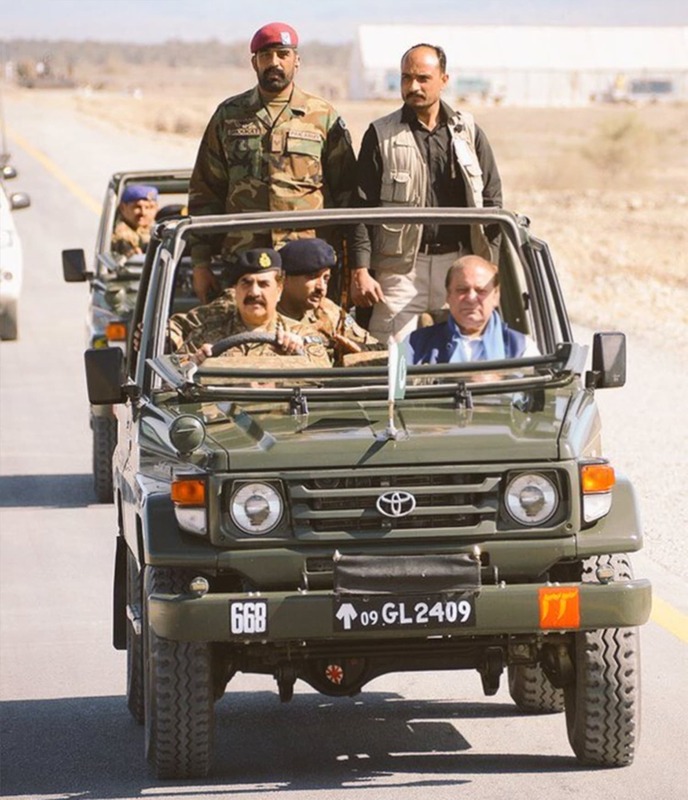 Gen Raheel and PM Nawaz drive along the Gwadar-Hoshab portion of the China Pakistan Economic Corridor. 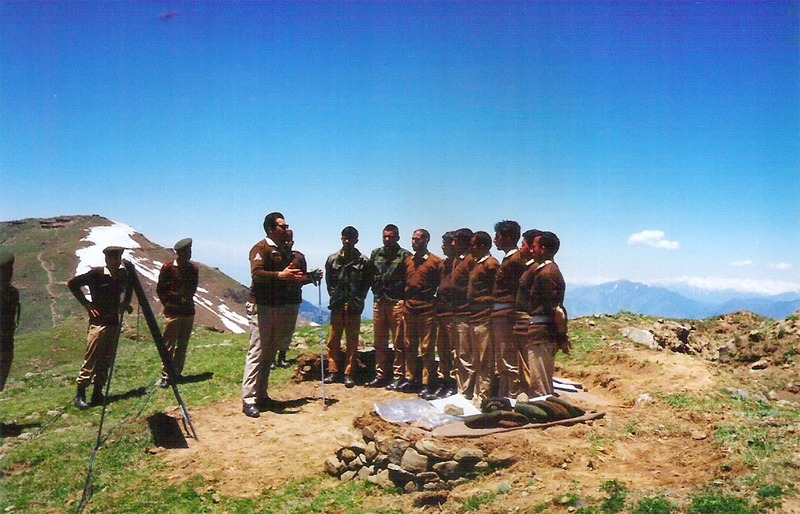 ─ Photo courtesy ISPR.